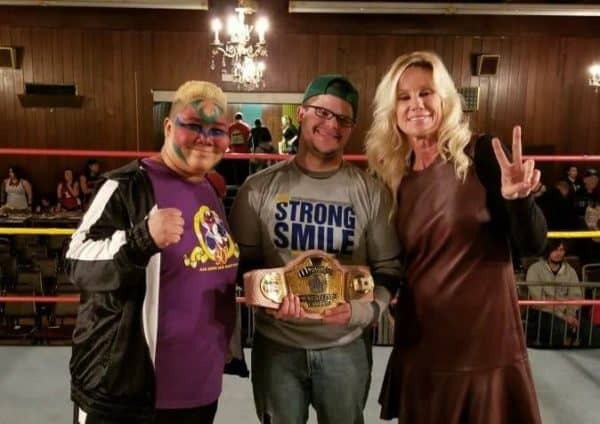 Myself in the middle with Aja Kong on the left, and Madusa on the right. Oh, Shimmer… you arrive so quickly, and leave even quicker. In the blink of an eye, 4 (yes…4) shows occur in a 29 hour window. These four hours take every bit of energy every single person in the building has. Every wrestler, every crew member, every fan, everyone. It’s a weird feeling to tell someone you’re going to four shows in a weekend (I’m not including Rise in this, but I mean absolutely no disrespect to them. It just doesn’t fit into the time frame like Shimmer has) and realize it happens in barely a day plus. Yet, here we are, coming off of yet another chaotic weekend where the landscape of the company shifted drastically in a matter of hours. 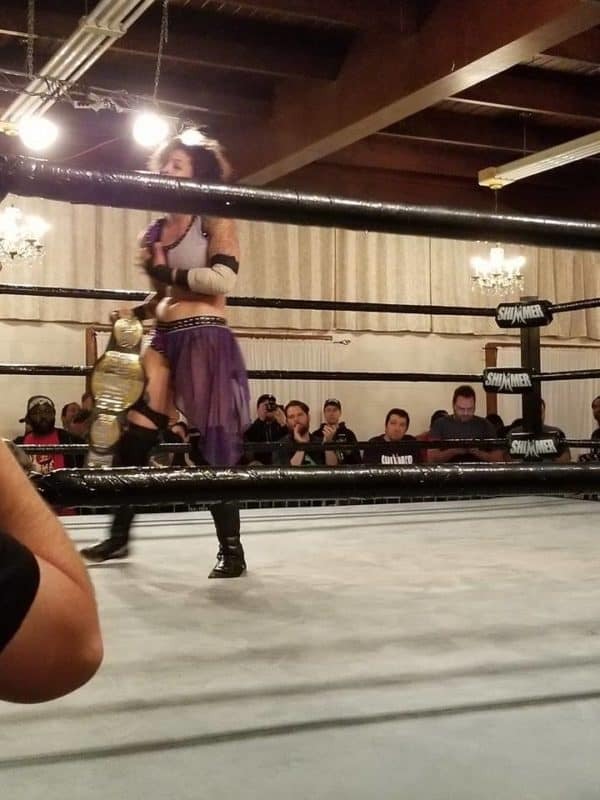 Going into the weekend, Mercedes Martinez had a stranglehold on her Shimmer Championship. She had a badass crew behind her, and was on top of the world. Mt. Tessa found themselves in the same position as the tag team champions. Though they didn’t get along, they got along just enough to keep their tag belts around their waists. Meanwhile, Heart of Shimmer Champion Shazza McKenzie was still enjoying her title she earned in July by beating Nicole Savoy. Little did anyone know how much would change in the blink of an eye. By the end of day 1, the tag champs fell. By the end of day 2, one half of the tag team was effectively dead at the hand of the other half. With as much verbal abuse that Tessa gave Kraven, and with the fans getting behind Kraven because of it, Certainly, it’s amazing how they managed to get along as long as they did. But, once Tessa hit Kraven with the Magnum at the wrong point, everything changed. Suddenly, the belts were gone. In the next moment, Mount Tessa was gone. By the end of Day 2, Tessa was gone, thanks to a lumberjill match that proved to everyone a mountain could fly (pictured above), as Kraven came off the top rope to take out almost everyone. In the end, like she usually does, being so damn big, Kraven stood tall, and for at least one time, Tessa finally got what she had coming to her. And then… there was Trifecta. It took one comment. One small, seemingly passable comment, to start the downfall of the group. With Shayna Baszler gone, Trifecta was down to Bifecta. But, as they announced their new member, Aja Kong, Trifecta seemed bigger and badder than ever. With Mercedes holding the belt, and a bigger badass behind her, everything seemed perfect. Yet, one thing ate away at someone. Mercedes called Aja the new number 2 of the group, relegating Nicole Savoy to #3. Who would’ve thought something like that would rip a group apart? Soon after, Savoy refused to attack a downed Hikaru Shida‘s knee, a position Savoy was all too familiar with. It was here that Trifecta was back to 2 members, and only one original member. Mercedes felt Savoy needed to learn her place, being #3. However, Savoy felt she could be #1. The crowd, who almost ruthlessly jeered Savoy since her debut, suddenly changed. Everything changed. The crowd got behind the new #1 (in theory) to the point that when Lexie Fyfe chewed out Andy Long as the worst ref she’d ever seen (to one of the biggest reactions of the weekend), and announced Mercedes would finish the weekend facing her former stablemate for her title, the crowd was foaming at the mouth for Savoy to pull off the big one. In a shocking turn of events, at the end of volume 99, at the end of the weekend… the crowd got what they wanted. Nicole Savoy had beaten the champ to claim the belt as her own and to become the true number one (pictured above). It wasn’t even just those things though. 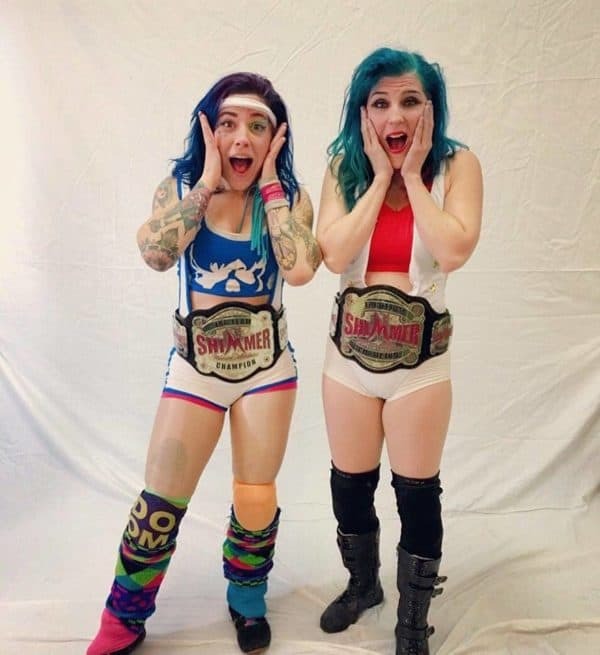 Rosemary and Chelsea Green were finishing off eight consecutive days of wrestling for Impact Wrestling and Shimmer. The sold out crowd on Saturday was insane. Then, it was Leva Bates, in her fourth attempt, FINALLY laying claim to the Shimmer tag team titles. The return of Aja freaking Kong, and the Joshis’. It was Delilah Doom becoming the first Rise/Shimmer double champ. Sienna got split open five minutes into a title match to the point it had to be stopped, only for her to come back later doing her best Terry Funk impression. Andy freaking Long did his best to be fired by Shimmer brass, yet still, somehow, keeping his job. It was all of that… in less than 30 hours.